I get asked almost everywhere I go about investing in marijuana stocks. The buzz continues to build, and it’s easy to see why. Marijuana and its derivative products were outlawed for decades. But a wave of legalization is starting to sweep the world. Sales in the U.S. and Canada are growing at more than 20% per year — and they’ll continue to do so for many years. The legal marijuana industry is set to grow 10-fold over the coming decade. This will create massive new markets and stock winners. Ironically, while many U.S. states have legalized various forms of marijuana, it is still illegal on a federal level and classified a Schedule 1 drug. This has a lot of ramifications, but few of them matter as much as the ripple effects in financial regulation. Marijuana companies based in the U.S. cannot trade on either the NYSE or Nasdaq. Any company that touches the plant or engages in any activity that is deemed illegal at the federal level will not be approved to list on the major exchanges. As a result, most marijuana stocks trade on the OTC market. But as legalization spreads and marijuana is inevitably rescheduled, the door will open for many of these marijuana stocks to uplist — or “jump” — to the big exchanges. It’s like being called up from the minor leagues to the major leagues. Not many marijuana companies have been able to achieve this feat. But the select few that have made the jump — including Canopy Growth (NYSE:CGC), Aphria (NYSE:APHA), and Cronos Group (NASDAQ:CRON) — have skyrocketed in value. All the marijuana “jumper stocks”, as like I like to call them, have been based in Canada, where medical and recreational marijuana are legal at the federal level. The latest marijuana company to join the big boys is CannTrust Holdings (NYSE:CTST), one of the largest medical cannabis companies in Canada. CannTrust jumped to the NYSE and opened up a multitude of benefits. The biggest benefit for a jumper stock is availability. Now, mutual funds and institutional investors that are not allowed to buy stocks that trade on the OTC market have the ability to purchase them. To quantify just how important this is, consider how much money is held in mutual funds, exchange-traded funds and large institutions. We’re talking numbers in the tens of trillions of dollars. Another major benefit that stocks jumping to the major exchanges receive is exposure. The average investor will typically shy away from an OTC stock because he knows little — and sometimes even nothing — about the company. But the media attention that jumper stocks get is priceless. Think of this article for example. We’re talking about CTST today specifically because it made the jump. I believe more marijuana stocks will jump to the U.S. exchanges and draw in a lot of investor money. That’s why I have spent the past year fine-tuning a system that will help us determine which marijuana stocks will be the next to jump to a major stock exchange. There are currently less than 10 marijuana stocks trading on the NYSE and Nasdaq. That number is going to grow exponentially in the coming years, and this is only the beginning. With the kind of upside potential that jumping to a major stock exchange brings, uplisting is the goal of every single marijuana company CEO out there. Really, it’s the goal of any CEO in any industry. And it’s our goal to start investing in those companies before they make the jump. That’s how we make life-changing profits. 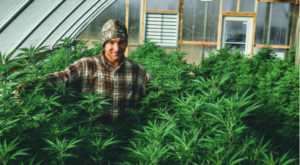 Article printed from InvestorPlace Media, https://investorplace.com/2019/03/what-you-should-expect-from-marijuana-stocks-that-make-the-jump/.